Steve and the team are joined by a-ha, comedian Marc Maron and author William Boyd. Plus Factoids, Non-Stop Oldies and the latest entertainment and lifestyle news. 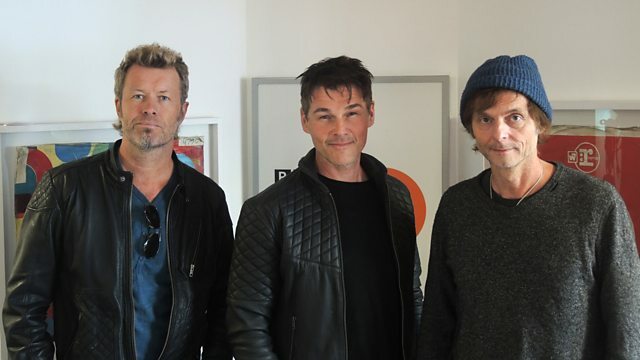 Steve and the team are joined by A-Ha to talk about their latest album 'Cast In Steel' and author William Boyd to discuss his new novel, 'Sweet Caress'. Also American stand-up comedian and podcaster Marc Maron will be chatting about performing in the UK and talking about the people he's interviewed on his popular podcast, including President Barack Obama. Plus there's Factoids, Non-Stop Oldies and the latest entertainment and lifestyle news. Bob Dylan - Greatest Hits. The Greatest Hits Of 1969. I Will Survive: 20 Years Of Ladies Singles. Rhythm & Blues Beat Volume 2. 50's Number Ones Vol 1.